Outre l'ajout du champ de bataille, la mise à jour a également apportée son lot de changement et correctifs sur le jeu, concernant les guildes notamment, mais également sur d'autres sujets. 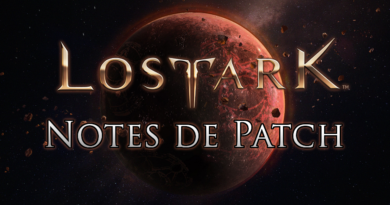 Voici la version anglaise du patchnote du 13 février (avec une partie traduite par Mokokoark). 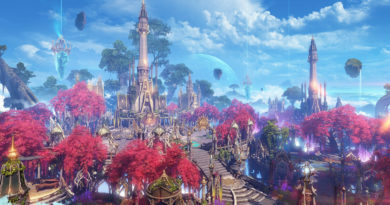 Battlefield of Sylmael has been added as new contents. When registering the target items, the quantity is displayed in a bundle of '100 units', and you can check the total number at the bottom of the bundled quantity item. All of the existing registered items of the items for which the transaction unit is changed are all mailed back and the transaction price is initialized. We adjusted the performance of the ship 'Brahms'. We have reduced the durability repair cost of the vessel 'Brahms' overall. When upgrading the 6th level of the ship 'Brahms', the crew slot has been increased by one more. Accordingly, the vessel "Brahms" can use a total of 5 crew slots based on 10 levels. Added 'Skill Dinner Lv.3' skill to 'Diana', a sailor dedicated to 'Brahms'. We removed 'Reef Bomb Lv.1' from all levels of ship 'Brahms'. We have changed the blue Farming Point to appear instead of Green Farming Point in Procyon's Sea of ​​Risks. Fixed a situation where a projectile of a skill collides with an invisible object in a specific shipwreck. We adjusted the battle difficulty of the weekly raid to the difficulty level suitable for the entry limit level. Some entry information for the weekly raid and the location of the raid selection UI have been changed. Fixed the use of catching skills even though I cut the tail of Raider Guardian 'Na Krassena'. Fixed a situation where certain movement interactions were not displayed on the map in Anitsu Sound's forest. We have changed the sort order of the continental list in the world map. Fixed a problem where the symbol was not displayed on the mini-map when using the 'share destination' function in the sea of ​​the 'world map' procyon. , The phenomenon that the movement was not smooth in the transporter of the Handel continent was corrected. As a result of using certain movement interactions on Handel's Silvery Waters laps more than a certain number of times, we have fixed a phenomenon that is no longer available. Fixed the phenomenon that adventurers who cleared the quest of 'Krona Harbor' entered the 'ruined harbor' position. Corrected the phenomenon that the interaction button was displayed in the dialogue function even when the conversation is impossible with the NPC. Fixed a situation where character movement was not smooth when trying to interact with some NPCs. Fixed the phenomenon that bartering with NPC 'Frank' was not activated intermittently even after completing 'Quest' [Quest for 'Island of Starlight Lighthouse]' [Heart] became a star '. Fixed a problem where the continental name at the top of the NPC list was displayed incorrectly when the "continental" scroll down in the UI and the continent was selected in the list. Fixed a situation where a store could be sold but the sales cost was 0 shillings, and it was inactivated as it was impossible to sell. NPC Rusty Coral Corrected the phenomenon that the item tabs of items sold in Jessica and Allya's stores are displayed as 'cooking'. Chaos dungeon after the end, even if the party status is not intermittent party UI output has been fixed the phenomenon. Fixed the problem that the life HUD is maintained intermittently when entering the tower mode while using the living HUD. When I clicked on a map of some of the hidden dungeons in the Handel area, the image was not output and the map was activated if there was a map image that was previously displayed. Fixed a problem where the character's weapon was displayed transparently when hit by a monster while using 'Emotional Expression: Staying'. Fixed a situation where the weapon's front part was exposed abnormally in certain situations when using the blaster skill. Fixed the phenomenon that leaves effects disappear when using the 'Sacred Concentration' and 'Threat' skills after boarding the 'Ride: Bern Elk' skill. Fixed the problem that the party UI was left on the character who entered the party when entering the party. Fixed a problem that the texture of ice leg object was displayed abnormally. Fixed the problem that when the character quality is set to 'low' in the environment setting, all the details of the appearance of other characters are not displayed. We have added a particle optimization option in the preferences that allows you to "fix" the particle quality of the target except yourself. Ability comparison tooltips are not generated in the personal belongings bag. Ability comparison tooltips are generated. Fixed the problem that the level up symbol is not displayed on the earring item icon in the belonging bag while wearing the earring with the highest item level in the second slot. Fixed a bug that the tooltip of 'Grilled Fish Picatas' item is incorrectly displayed as a description of the effect of mana regeneration. Before change: Increases mana by 300 and mana regeneration by 50% for 20 minutes. After the change: Maximum mana increased by 300 for 20 minutes and mana regeneration increased by 50% during non-combat. Fixed the phenomenon of intermittently delaying the update of the quantity displayed on the icon of "Awakening: Chaos piece" items when the number of items is changed. Fixed the problem that, when using the ride skill, the item in the inventory can not be moved by dragging the item with the mouse. We have improved the tooltip of the quest start item 'Fly', which is used in the cradle Fermat of the sea, to clarify how to use the number of times. Fixed the phenomenon that the reward of the adventure is not acquired intermittently even though it is available. Fixed an issue where the level of the item was raised after the equipment polish, but the combat characteristics were not applied accordingly. We have applied the combat characteristic values ​​to match the item level of equipment that did not reflect the combat characteristics after polishing. If the box contains items with restricted quantity, we have changed to display a warning message when trying to open multiple items. Impulse effect The '1' and '2' effects of 'Golden Rake' have been upgraded to increase beyond the duration of the 'Appearance' buff. Fixed the fact that the damage of 'ether vaporization' markers is applied at a higher rate than that shown in the tooltip. Fixed a problem where the tooltips of other items were displayed when mouse over the list after using the belongings or warehouse filter in the imprint window when there are several items with the same name. We have changed the sort order of imprint effects. Fixed the phenomenon that the character moves to a position where the character can not move because it is struck by the Anitts continental dungeon 'Between Life and Death'. Chaos dungeon 'on the other side of the boundary' to be moved to a location that can not move the character has been fixed. Fixed the problem that when the dungeon entrance fails, the text "Failed to enter" in the popup window is shifted to the right. In order to prevent the monster from interfering with the barter in front of the 'Dungeon of the Voids', I placed a monster near the dungeon a little further away. During the cooperative quest in the Dungeon 'The Labyrinth of the Void', the Quest mini-info window's contents have been marked as 'Labyrinth's Labyrinth'. We have improved the mirror movement device so that it does not disappear even after killing the queen that attacked the tsunami from the 'Palace of the dream' in the Handel continental dungeon. In Handel's Dungeon 'Palace of Dreams', we have corrected the phenomenon of transferring movement effects to spaces where characters can not move. To the quest of 'Palace of Dreams' in the Handel continental dungeon. After completing the steps of the Handel Territory Dungeon 'Palace of Dreams' Quest 'Dreamland Army Commander Abrelsthud', 'Dreamwalker Commander: Final Chapter, Battle with Furious Abrelshud', we corrected the phenomenon that the quest does not progress intermittently. Corrected the phenomenon that 'Golden Mirror' is not activated if you kill Tanatus within a short time after the scene of Aman appeared cut in the stage of 'Tanatos Treatment' in progress. . Fixed the problem of disassembling your belongings and disabling the quest bag button intermittently when entering Chaos Dungeon. Improved to prevent the internal portal from disappearing after killing the boss at the Chaos Gate. As the Handel 'Runaway Conquest' quest is underway, the character 's move beyond the Quest level during the' Stealing the Ice 'command during the' Runaway Ice 'phase has been corrected. As of Handel 'Star Herd Forest' Quest 'El Zawin's Dew' in progress, 'Conversation with Aven' during the NPC turbulence does not move the phenomenon has been fixed. Fixed the problem that if there is no empty space in the carrying bag when the quest can be completed, the message "The quest can not be completed because there is no empty slot in the belongings" is continuously output. Rutheran Eastern Borea Gnomon Quest 'With the Lodge, as a battlefield!' During the process, we corrected the phenomenon that the quest area mark disappears when some targets are achieved first. In the Handheld Elemental Land Dungeon Quest 'In the Heart of the Flame' progress, some NPC voice has been fixed abnormally. 'Handicapped Sword of Strangeness' during the Handel-linked quest 'Erbantes Soul' NPC has been fixed. The Handel World Quest 'Strange Cylin' of 'Silvery Wave of the magic bullet surveying' stage of the goal of the progress was a little more specific. Artemis border zone cooperative quest 'Demon's Graveyard' range of performance, the actual range of monsters have been improved to display all the range. The Artemis Borderlands co-op quest "Cemetery of the Devils" was intermittently not accepted. Fixed the phenomenon where the acquisition destination of "Too Muchaku-no-yaki" is not displayed correctly. Fixed the phenomenon that the rewards of the Tower of Fate 32th and 37th floors changed due to the regular inspection on February 8, but the rewards of the strata in the milestones are outputted as the reimbursement before the change. Fixed the phenomenon where the acquisition points of items that can be acquired in Alaquer are duplicated. Among the expected rewards listed in the milestones, we have simplified the Ability Stone icon listed by item level. Fixed the phenomenon where 'Admission Ticket: Labyrinth of Labyrinth' item is displayed as a duplicate of 'Labyrint Box of [Box] Labyrint Box' at the acquisition point of the item tooltip. Fixed the problem that some skill range effect of monster 'Skull Knight' is output twice. Monster Skull Knight 's skill range is shorter than the weapon has been corrected. Fixed the problem that the range of the skill of the monster 'Puppet' does not match the actual shot range. Fixed the phenomenon that the monster 'Keeper Ramos' landed after the jump and there is a difference between the range of the attacking skill and the actual range of attack. Fixed a bug where the boss of 'Alfred', the ghost ship of 4 players, was recovering from Alfred's HP. 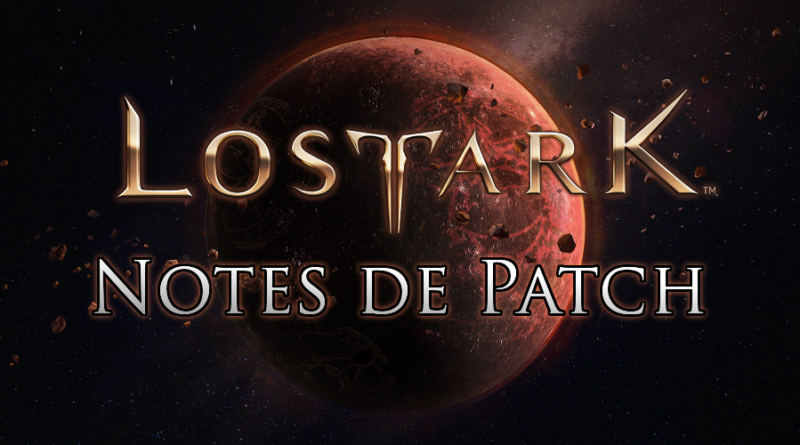 We corrected the phenomenon in which the expedition task "Lord of the note" could not proceed. We modified the phrase so that the target time indicated on the Expeditionary Task 'Quick Hunter' is equal to the actual target time. The expedition task 'medic! ...? "Has been modified to indicate that the achievement description is different from the actual achievement achievement condition. We have improved the phrase so that the achievement conditions indicated in the Expedition 'No need for medication' are the same as the actual achievement conditions. Before change: "Cube Stage Clear"
We have improved the phrase of "Achievement condition beyond death" in the expedition task more precisely. Changed the phenomenon that the achievement condition of the expedition task 'Professor Jones, do you see?' Is indicated differently from reality. Fixed the phenomenon that the enemy task 'smell me .... smell of nobody' could be achieved even if I use the battle item 'Signet (Attribution)'. Fixed a situation where the explanations of the expedition project 'Legioros Brother II' were not displayed. Fixed the fact that the achievement date tooltip of some assignments was displayed differently from the actual achievement date in the 'Recent Achievements' section of the Expedition UI. Fixed the phenomenon that the expedition team did not expose to the expedition UI even after achieving the 'Island Librarian of Wisdom' task. Fixed the problem that when you clear the dungeon alone, your achievement is counted once more in 'I alone dungeon' regardless of difficulty. Among the expedited expeditions, we have modified the phrase of the assignment for which the conditions are not clear. Fellowship Challenge Fixed the problem that the number of goals of 'Scary Concentration Angler' is not counted according to the number of successes. When Devil Hunter changes stance quickly, the stance change achievement is not counted as many times as changed. Fixed the fact that the expedition task '' rocket tier '' is described differently from actual goal count. In Lost Arc Shop Preview, when the weapon avatar is previewed and the 'Battle Conversion' button is clicked, the phenomenon that the pore pause is stopped and the motion is output again is fixed. When a merchandise is purchased at the time when the merchandise of the secret shop of Marie is updated, the store is closed. A message was printed and the purchase failed. Fixed the phenomenon that preview window is opened when clicked items are sold in Lost Arc Shop. We changed the mileage icon of Lost Arc Shop to clearly distinguish it from other goods. When using a card item in the lower slot while dividing the card into multiple slots in the belongings bag, the card placed in the upper slot instead of the card item of the used slot is reduced. During card battle, we fixed intermittently the card battle process stops before the first attack of the first round starts. Fixed the problem that the skill effect is not output or synchronized in certain situations during card battle. Fixed a problem in which a certain skill is applied during a card battle but it is displayed as inactive. Fixed a problem in which the number of overlaps in a certain skill was displayed differently from the actual one during the card battle. Fixed a problem where a certain skill was not displayed in the UI of the deck configuration skill and the card battle entry UI when configuring the deck in the card library. 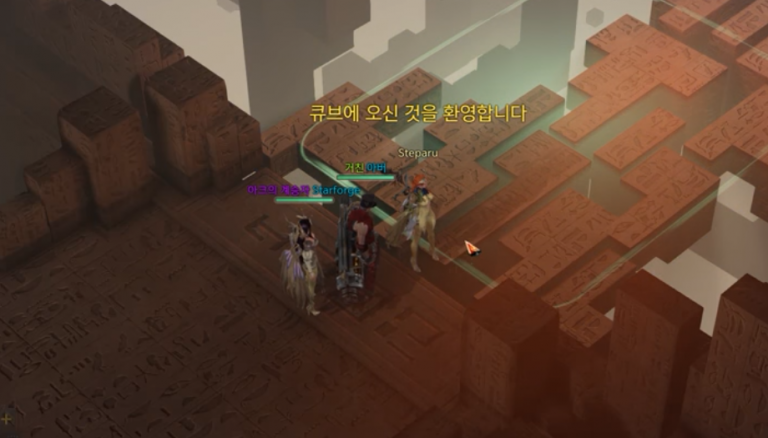 Fixed the phenomenon that the cooldown time is terminated when the dungeon is retired and re-entered while the co-operative identity skill 'Geumgang Line's' cooldown time is being applied, but it is not possible to actually use it. Infaper 'Pushing Out' Tripod Fixed the situation where the 'Quick hit' effect does not apply when using 'Quick hit' and 'Rough advance' together. Devil Hunter 'Lord of the Shotgun' Tripod 'Lord of the Will' Tooltip We corrected the contents that were guided differently from the actual effects of this skill. Before change: The last attack is lost, but hold time increases to 1.6 seconds, and damage to enemies during holding increases by 40%. After the change: Last attack is eliminated, but hold time is increased to 1.8 seconds maximum, and damage done to enemies per pair increases by 40%. Hawk Eye 'Knife' in the state of holding the skill, supercharged engraving text has been corrected. Hawk Eye Awakening 'Penir's messenger' skill type is not 'Charged' instead of 'General' has been corrected as a phenomenon. Fixed a problem where some effects of Arcana 'Dark Resurrection' and 'Infinite Shower' skill were not displayed when 'Environment', 'Video' screen quality was set to 'Low'. Summoner recovers with the summon of the flame Pauru, or resurrected within 5 seconds after the self-destruction, the self-destructive skill was not available. Arcana 'Spiral Edge' TriPod Improved tooltip content for 'Ruthless Shooting'. Before change: Reduces the damage your opponent deals by 40%, but increases the number of attacks and maximum stack stack by one. After the change: The damage done to the enemy by sprawling the card is reduced by 40%, but the number of "Judgments" and the maximum stack stack increase by one. Fixed the situation where the cooldown time of the stacked skill is not initialized when clearing the Tower of Shadow Stage. It seems to be available only at fishing grounds intermittently when trying to fish in Narunny Island fishing ground. Message is displayed, and the problem that the fishing is not progressed has been corrected. 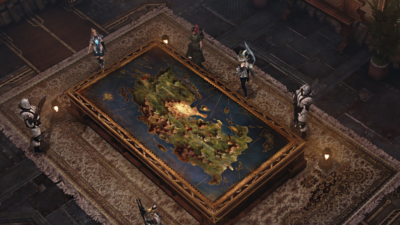 We added 6 loading images related to 'Guild Wars' and 'Troupe War'.